Freer purchased this Safavid period white porcelain dish from the Paris-based dealer Dikran G. Kelekian. It was originally part of the Charles A. Dana Collection, about which a New York Times article had reported, "At the time of his death [Dana] owned the largest and most valuable collection of Oriental pottery and porcelains in America, with the single exception of that formed by W. T. Walters of Baltimore." 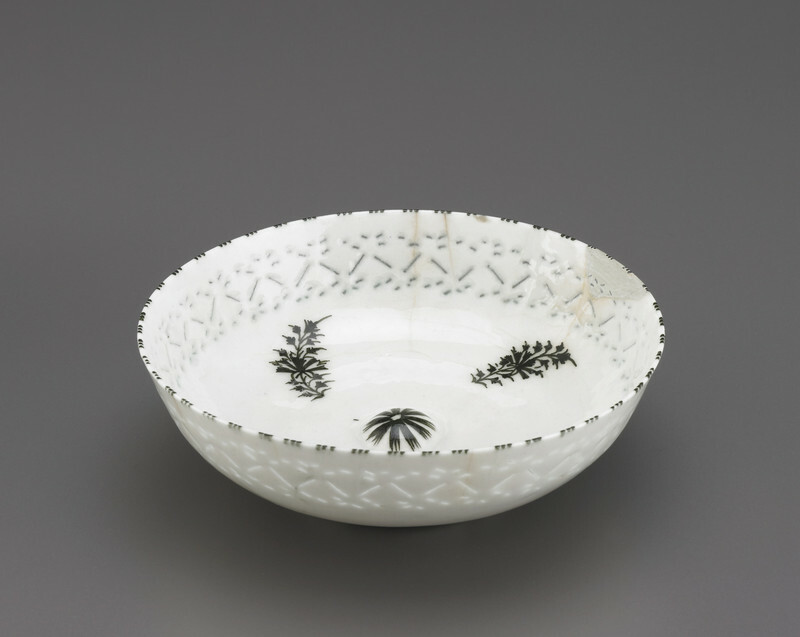 Freer remarked that this shallow dish, with its black painted design and piercings below the rim, was a "good specimen" although he also noted that he wanted to compare it with a "finer specimen" he had purchased directly from the Dana sale. "Dish," in The Peacock Room, Freer Gallery of Art, Smithsonian Institution, Accession No. F1903.6, Item #3159, http://www.peacockroom.wayne.edu/items/show/3159 (accessed April 19, 2019).